Don’t know your SBI Debit card expiry date/valid thru date? Well, you can check your SBI Debit card expiry date online as well as on Debit card. Why Expiry date on Debit card? For security reasons, Bank issues Debit card with expiry date and when your card is expired, the bank will send you a new Debit card with a new 16-digit number, expiry date, and CVV. You can not use the expired Debit card for transactions. Check your SBI Debit card expiry Date? If you are SBI customer and don’t know your ATM Debit card expiry date then there are two methods to check it. 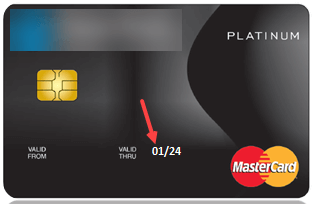 You can see your ATM card expiry date on the front side of the card. It is printed just below 16-digits number on the card in Month/year format. 1- Login to SBI net banking and click on e-Services — ATM Card Services. 3- Next screen select your Account number and click on continue. On the next page, you can see your Active ATM Debit card and its expiry Date as you can see below image screenshot. 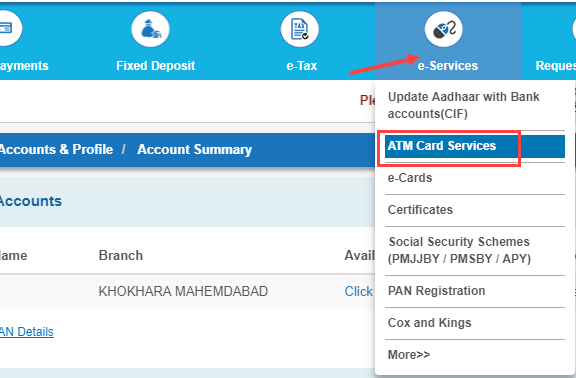 So this is how SBI customers can check their ATM Debit card expiry date online and offline.